Comment: A home inspector recommended that we alter the grading along the foundation walls on two sides of the house to provide positive drainage away from the foundation. He said that "soil should be thoroughly compacted using vibrating plate compactors or hand rammers. The minimum slope of the finished grade should be 1/2 - 1 inch per foot for the first 6-10 feet away from the foundation. A layer of clay 2-3 inches thick is suggested over the compacted soil surface. " Falls Church Landscaping Companies are rated 4.71 out of 5 based on 1,323 reviews of 41 pros. 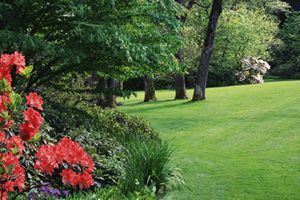 Not Looking for Landscaping Contractors in Falls Church, VA?